I noticed on the venue website that there is no cloakroom, so bear this in mind re coats etc ... bit annoying considering it's bloody December, brrrr!!! I find that really odd for an arena that big. Bugger wrong thread! Meant to post this on Wembley thread! Ignore me!!! In any case. 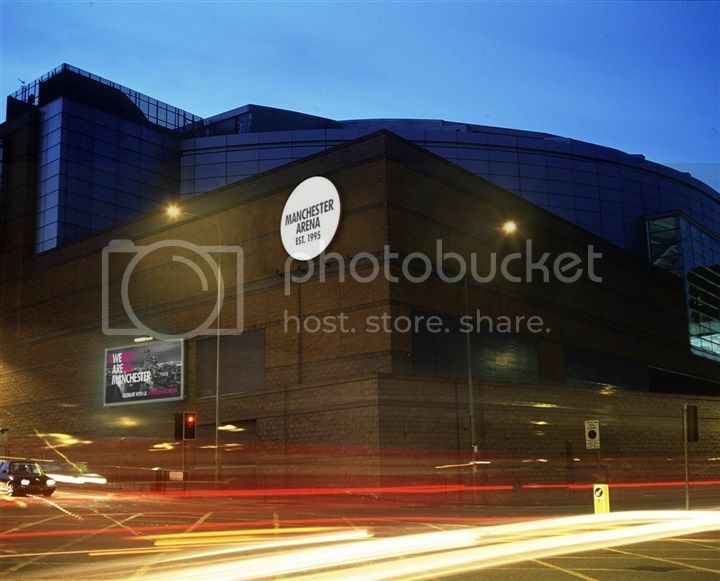 There is bugger all on the Manchester Arena site about cloakrooms. WHAT, the Wembley, what the fudge to do with all the jackets! Well that's just effing marvelous isn't it! What sort of country is this? It's gonna be the coldest night of the year so far tomorrow. well, dont they stay that they will hold your bag if it is BIG enought. as it is winter it kind of needs to be big to hold your jacket!